The 20th century citadel known as the “art world” has been insistent that religion would not be allowed through the gates. This cultural breach between art and religion has been getting considerable attention recently. Much of the discussion has been generated by art historian James Elkins who teaches at the Art Institute of Chicago. His 2004 book On the Strange Place of Religion in Contemporary Art has been a catalyst for new conversations that explore the relationship between art and religion. In the concluding chapter of the book Elkins articulates a view that should spark conversation not to say controversy among artists of faith. Elkins’ contention invites response and certainly raises all sorts of questions. It is important to know that Elkins is speaking about a limited range of art. He holds to an account of art that is “institutional’. This means that art is that which shows up in museums and galleries and is the subject of publications whose focus is contemporary art. This way of understanding art emerged when artists began to do work that would not fit traditional forms of art or comply with accepted philosophical definitions. It is common for those who hold this view to take a further step and affirm such art as the standard by which all other work is to be judged. Religious art becomes unacceptable because it is indebted to another tradition, an earlier time, and fails to fit with the prevailing ideas of today’s “art world”. Given this perspective reconciliation between religion and the art world seems unlikely – though perhaps not impossible. What about this idea of “the art world”? It is a widely held notion and one that has been much criticized. (See $12,000,000 Stuffed Shark by Don Thompson) Would it not make more sense to speak of the galleries, museums and publications that champion “contemporary art” as an art world? This at least would signal the recognition that there are many art worlds where fine work is being done – including art with religious sensibilities. One has the sense that those in “the art world” are often self appointed gate keepers who set boundaries shaped by their own particular values. This can lead to practices of exclusion that marginalize participants from our diverse culture. If Elkins is representing the current model of how (visual) art is understood surely it’s time for a new paradigm – a different and perhaps more inclusive model that is able to embrace diversity so evident in contemporary art. Part of the reason for “the art world’s” discontent with religion is the degree to which that community has accepted loss of faith in modern culture. For some time now we have been operating in a disenchanted world –a world in which spiritual values have been diminished and the “gods” have departed. The impact of this sea change can be seen in various facets of our culture. It has been suggested that Elkins’ “art world” is one in which we discern the absence of God – humanity treading an apophatic path – unable to discern or to accept a divine presence – but longing just the same. One of the signs that the push to keep religion at bay is weakening is the so-called “return of beauty” in discussions about art. Beauty has certainly been a theme in non-religious contexts. However it is but a short step from the beauty found in art, human life or the natural order to speaking about how beauty is made possible – and the likelihood of a divine source. The return of beauty suggests that a window is now open – if only a little – indicating that our experience of a closed, material, disenchanted world may not be the whole story or more boldly – may be a false story. But it is not just the “return of beauty” that is at work. There is something in our humanity that resists accounts of life that are merely mechanical or material. We seem unable to live for long in a disenchanted world – before we become restless and long for more. 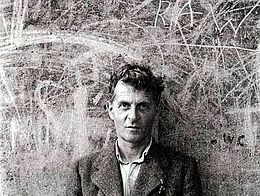 Twentieth century philosopher Ludwig Wittgenstein once said; “I am not a religious man, but I cannot help seeing every problem from a religious point of view”. What he meant by this is much debated but it does seem to suggest that religious sensibilities are difficult to avoid. I find the recent conversations on religion and art an encouraging sign. Not just because of attention to religious belief but because it suggests that we are acknowledging a more full –orbed notion of what it means to be human. Imago has been advocating for this link between art and faith for some thirty seven years and we continue to engage that work. Opportunities for discussions, events and the facilitating of creative initiatives are all part of the Imago mandate. My hope is that we might find ways to further the conversation in the Canadian context on this important theme of art and religion.